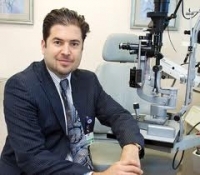 » Watch Next Video by Ehsan Sadri - Could there be cataract surgery complications? Macular degeneration is the number two cause of permanent vision loss in the United States today. It is highly destructive because what it does is it slowly removes the patient's visual acuity, and unfortunately, it is not reversible. There are two subtypes of macular degeneration in the United States. One, is called the wet macular degereation, which is about 20% of all macular degeneration cases. And two is dry macular degeneration, which is about 80% or the majority of macular degeneration patients. It is commonly associated with age, smoking, and genetics. There are many types of therapies for macular degeneration today that are exciting and that we did not have five years ago. And as more work and researches are being conducted, we are now able to reverse some changes that are occurring, especially in the wet macular degeneration.